Enviro Gas is a local, independent propane company providing reliable services to residential and commercial customers across Denver and the Front Range. 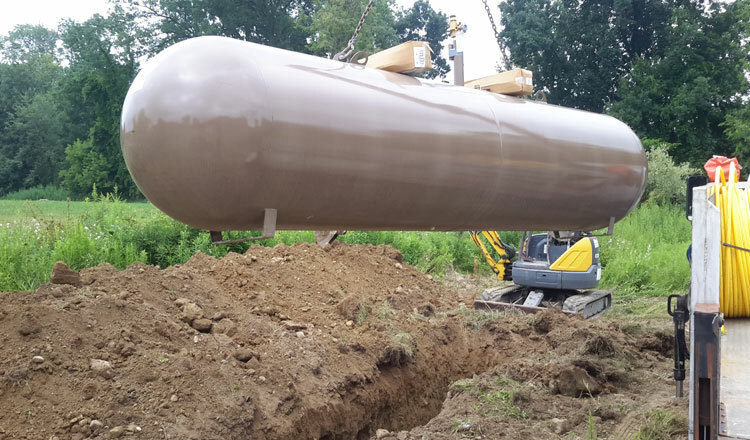 Propane TanksFrom 250 to 1,000 Gallons both above ground and underground - we've got the right tank for you. Propane RefillYear round propane supply to ensure you never run out - always available at a great price. As a dependable, locally owned and operated business we’ve helped thousands of customers just like you with their propane needs. From our locations in Brighton and Strasburg, CO we service residences, commercial, industrial and agricultural accounts in the local community. Our coverage stretches through Larimer, Boulder, Weld, Adams, Araphoe, Elbert and Douglas Counties. We pride ourselves on our customer service, renting propane tanks from 250 to 1,000 gallons capacity both above ground and underground at affordable annual rental rates. All our installations are performed by qualified, experienced technicians for your peace of mind. We also comply with all federal, state and local governmental regulations. We’re also proud to be aware of our environmental impact and are stewards of the environment. You’ll find that as an independent, local company we offer a fantastic level of service that’s designed around you. Our prices are entirely fixed, with no hidden charges so you know you’re getting exactly what you pay for. You’ll always deal with a person too – no switch boards and no call center, if you need to contact us there’s an expert at the end of the phone. Whilst other companies may charge hidden fees for delivery, environmental regulation, fuel charges etc. We don’t. The price per gallon we quote you is the price you pay – no more, no less. Speak to a real person now and we’ll work with you to meet all your propane needs. Call our team on 303-637-7873 or fill in our Get A Quote form and we’ll be in touch within 24 working hours. 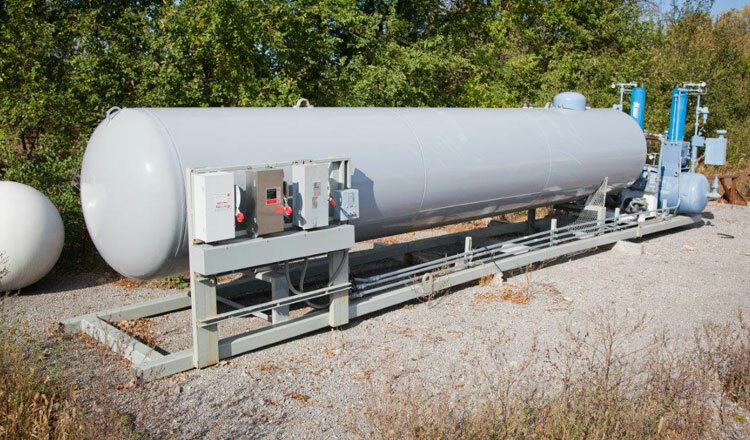 Whether you need a new tank or just a better supplier, Enviro Gas can help. We'll help you through the entire process, tank type, size, underground or overground, appliance installation and conversion - whatever your needs, we're here for you. From Industrial to Agriculture requirements we can meet them all. Whether you need a bulk tank and supply, a temporary solution or something more bespoke our team can help. Choose a cost effective, environmentally friendly option, choose propane. Over 800,000 American farms use propane as a trusted source of energy. 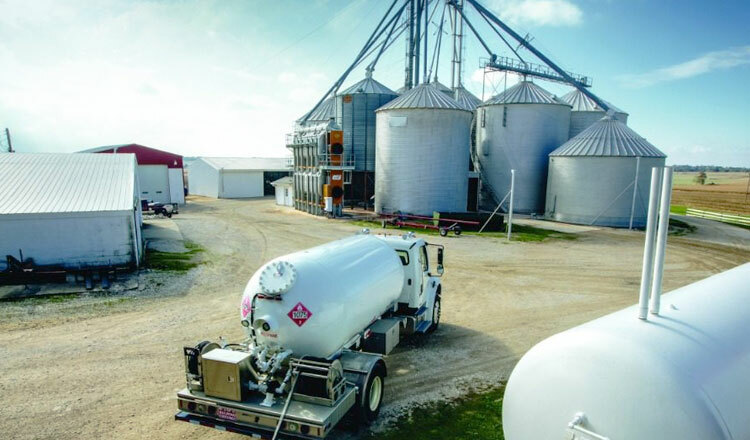 If your farm already uses propane or your considering it for it's lower costs, reduced emissions, reliability, flexibility or environmental benefits, get in touch.